In 1923, HRH Prince Carl purchased a land- and hydroplane type Bréguet 14 T bis, that was rebuilt in France as a flying ambulance. 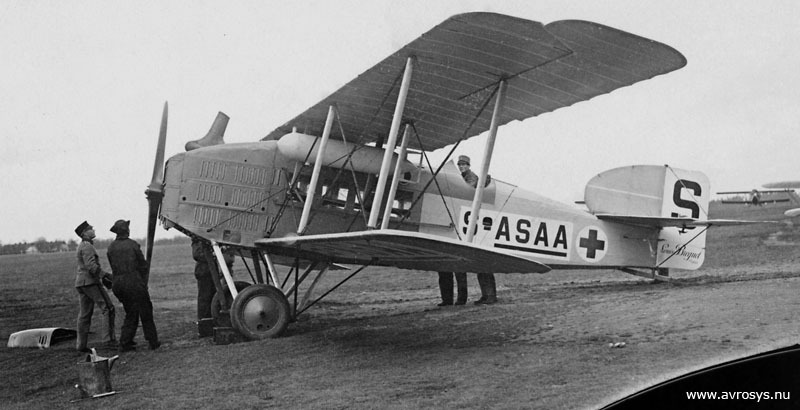 The aircraft was donated to the Red Cross and got the civil registration S-ASAA. 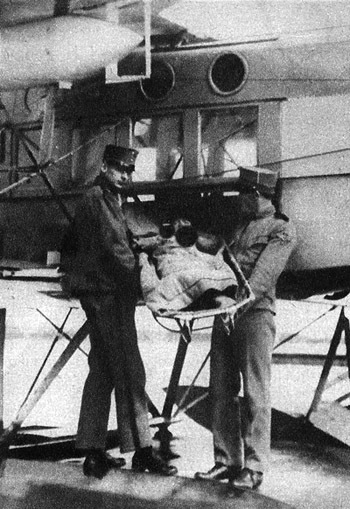 The ambulance aircraft was mostly flown by the legendary Ferdinand Cornelius. It was based at Boden in the north of Sweden and saved the lives of many people living in places difficult of access in the wild wilds in the North. 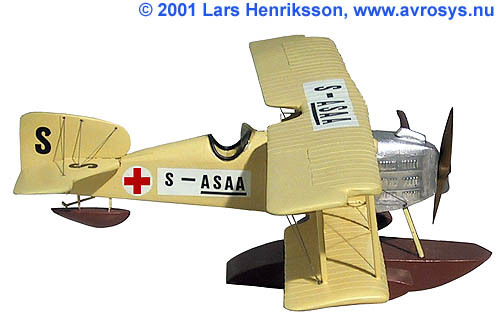 The model at bottom of the flying ambulance is displayed at Flygvapenmuseum. 14 A.2: Length: 8,86 m. Span: 14,40 m. Maximum take-off weight: .1900kg. Max. speed: 165 km/h. 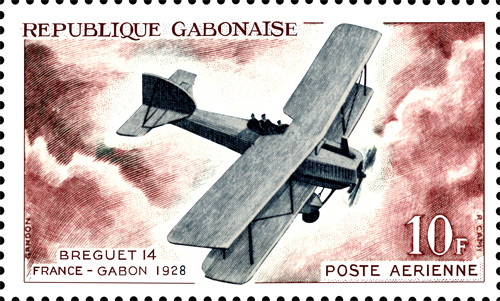 Stamp from the Gabonese Republic (Gabon) depicting the Breguet 14 that flew from France to Gabon in 1928. The stamp was issued in 1962.